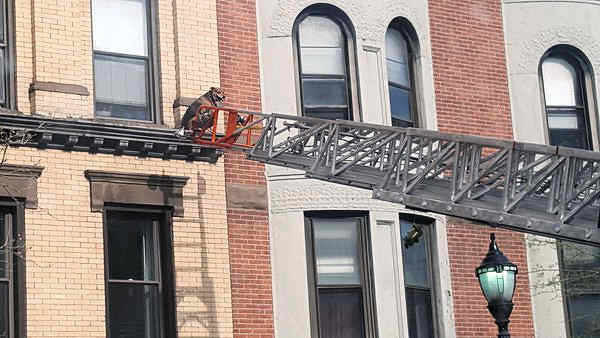 HOBOKEN, New Jersey (WABC) -- You've all heard the cliche about firefighters doing a good deed rescuing a cat from a tree, but how about a dog from a ledge? The Hoboken Fire Department sprung into action to help a poor pooch named Skipper that just wanted to enjoy the beautiful weather. He managed to break through a screen and wander out of a window, but there was no way for the dog to get back inside. Firefighters were able to extend the ladder, reach the good-natured dog and bring him to safety.